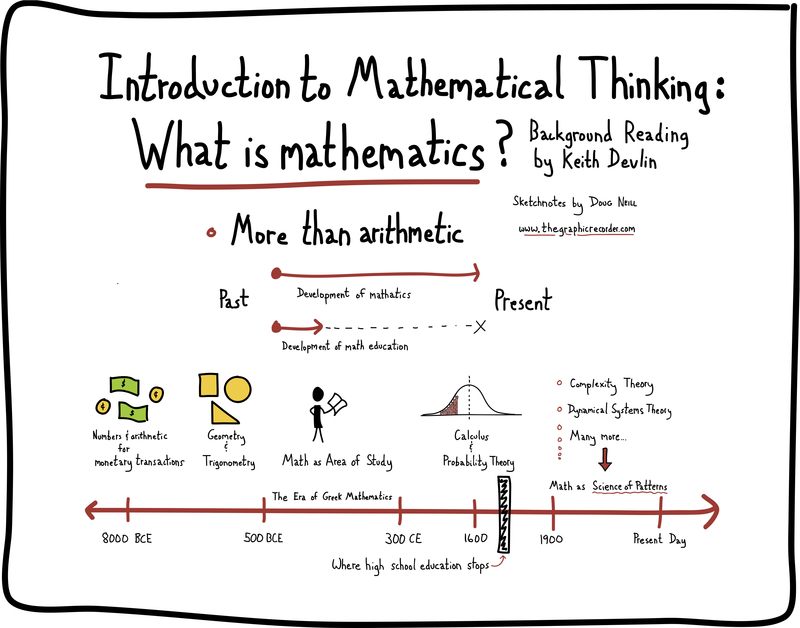 The sketchnotes above are from the background reading assigned in the first lecture of the course Introduction to Mathematical Thinking. The sketch captures just one of the ideas from the reading – that our pre-collegiate education teaches mathematics that is over 300 years old. While the mathematics developed during that time is still relevant and important, it leaves out the more recent developments in mathematics that have caused the re-branding of the subject as the science of patterns.